The local papers have published enough stories about water management/infrastructure in the last year that it’s clear the issue is gaining traction in the the Lehigh Valley. Just today, the Morning Call reported that a rate hike of 12.7% has been approved in Hanover Township. Another recent story – in the police blotter, no less – involved an underground water line break near the Allentown Symphony Hall, which led to street closings. It’s a matter that (I’m sure) is going to keep coming up in the next decade – bumps in rates, water main breaks, and multi-municipal negotiations (or lack therof). The unfortunate fact is that our water infrastructure is aging severely and rapidly. Because it’s hidden, it’s often unintentionally forgotten – at least when compared to the attention given to roads and bridges, seeing as how the deterioration of such infrastructure is easily noticed. Without upgrades or much maintenance, water emergencies are more likely to occur. Our drinking water is at a greater risk for pollution. Stormwater management will become nearly impossible. And, unfortunately, given that federal funding sources rarely place a high priority on maintenance of existing infrastructure, local municipalities will have to raise fees in order to keep up with the most minimal upgrades. (And contrary to the reader comment on today’s Morning Call story, the rate hike is intended to pay for this bare minimum upkeep). Without federal or state help on many of these issues, what are local municipalities to do? Well, one possible way of approaching the upcoming problems is to plan for them and work with neighboring towns and cities to develop comprehensive – read: cost-effective – solutions. RenewLV is a proponent of such an approach, as we have been promoting regional cooperation on water and wastewater resource management through our Regional Water Initiative. I invite you to visit our web page for the Regional Water Initiative to learn more about the benefits of regional collaboration – including the possibility of the Valley saving $40 to 60 million each year by 2020. But community leaders have to voice their opinion on this matter – and not just in the form of opposing tax hikes and fee raises. If these options don’t sound appealing to you, you must tell your local officials to look toward other solutions to infrastructure problems – including raising the idea of multi-municipal or regional cooperative agreements. To be a supporter of RenewLV’s Regional Water Initiative, visit our Join Us page, making sure to check the box next to ‘Water’ when submitting your information. 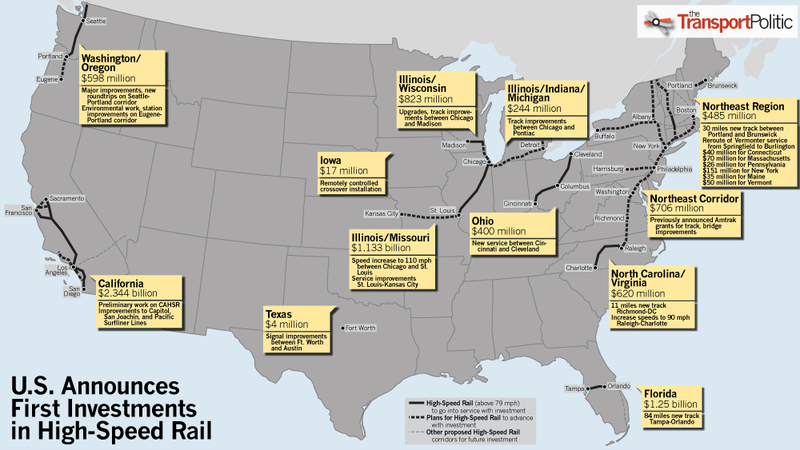 The White House announced details of the funding for high speed rail development and passenger rail improvements today. This is a happy step forward, although I can’t help but feel a little sad that the Lehigh Valley is not included in this first step. More information can be found here and a nice analysis from the Transport Politic blog is available here. A banner with this quote on it is the first thing you see when you enter the Center for Humanistic Change (CHC) office in Bethlehem. I spent a year after college working for CHC full-time before going back to school. I continue to facilitate part-time, as my schedule allows. In my time at CHC, I believe that I learned a lot about prevention. I learned that prevention is a very broad concept covering all sorts of things. It’s not just brushing your teeth, staying physically fit, or consuming your daily dose of Echinacea. In fact, at CHC, we did not deal with any of those things. If I had to define it, I would say that prevention is about the ability to make healthy decisions, and the development of resiliency—both physically and mentally. As an employee, I was responsible for facilitating programs to youth throughout the Lehigh Valley in schools and community centers. The programs include topics ranging from conflict resolution and communication skills, to drug and alcohol prevention and ranged from 4-6 weeks in length(meeting once a week). CHC’s philosophy is that people learn best by doing and that learning is most effective when it engages the whole person. So, our programs always include components that facilitate interaction and critical thinking, while promoting empathy. Because many of the programs use games, activities, role plays and more to engage the students, the students responded very well. They looked forward to sessions, engaged in the conversations, and had noticeably different outlooks on the topic from the beginning of the program to the end. However, the dilemma, one that is often discussed when it comes to prevention is, how do we measure it? 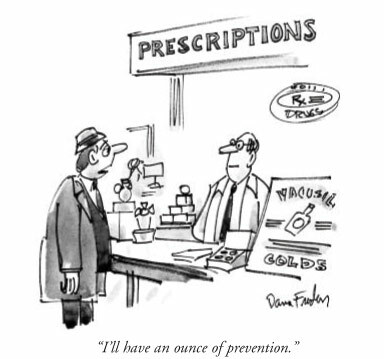 Prevention is, as it says, an attempt to prevent something from taking place. So, how do we measure the effects of a program that aims to deter youth from doing something or acting in a way that they may or may not have acted in the first place? This question is important because to ask how results are measured is to ask how the cost is justified. If people are going to fund prevention, or anything for that matter, they want to know that their funding is justified. Of course we had our approved methods. Pre/Post tests, teacher evaluations, student evaluations, etc. But we were always looking for ways to get a better read on the effects of our programs. As facilitators, face to face with the youth, we knew we saw changes… big changes. Unfortunately, qualitative data, in the form of personal accounts, only takes you so far. Today, people want results. They want quantitative feedback and reports that prove that money is not being wasted– thereby justifying their commitment of resources to the program. This dilemma is one that has been and continues to be dealt with on a national level with the allocation of health care dollars. If you are a politician, I can understand the motivation behind funding treatment… you see clear, immediate results and people like results. Results=Votes. However, times appear to be changing. People realize that we have been investing in treatment with little focus given to prevention and while we see results, we are not addressing the root of the problem. Voters seem to be realizing that we can’t afford to ignore prevention anymore. The Robert Wood Johnson Foundation and the Trust for America’s Health released a public opinion survey in November that found that Americans view prevention as a top priority in health care reform. The majority of those polled, Democrats, Republicans, and Independents alike, support increased investment in prevention funding. By a nearly three-to-one margin (70-24 percent), people think prevention will save us money rather than cost us money. People want health care costs down and what better way to do that then to decrease the need for treatment, doctor visits, and trips to the hospital. If we act in a proactive way and do what we must to deal with the problem before it begins, we’ll save money in the long term and more importantly, save lives. The debate surrounding the Lehigh Valley Health Department is a debate about preventative approaches to health. Public health is about the health and safety of the public. As such, it is an essential function of local government. It is not a luxury or an elective service. Yet, while there are several agencies providing a number of prevention/public health services intended for Lehigh Valley residents, we lack one entity, able to coordinate services, educate LV residents about those services, and promote their use. The survey shows that voters place a significant emphasis on the importance of prevention. These same voters seem more willing to accept the logical effectiveness of prevention even if it means we don’t have the same quantitative measurement tools. Further, I think people are realizing that the quantitative results of prevention will be noticeable in the long term when health statistics before a reallocation of funding to prevention are compared with health statistics after. Do you think Lehigh Valley residents feel similarly about prevention? Are Valley residents going to demand that elected officials promote prevention funding? Please share any thoughts below. The Lehigh and Northampton Transportation Authority (LANTA) will hold a public meeting on Thursday, February 18 from 6 – 8 p.m. at Easton City Hall, to discuss the proposed project for the Easton Intermodal Transit Center. The construction will include the Center, a parking garage, and a commercial building at 123 and 181 South Third St. in Easton. LANTA strongly urges community members to come out and voice their thoughts on the project. Early comments, made during the planning and design phase, will help ensure that the Transit Center will be built with the community in mind. For more information on this project and meeting, contact Armand Greco, Executive Director of LANTA, at 610 -435-4052 or agreco@lantabus.com. When: February 18, 2010 from 6-8 p.m.
Where: Easton City Hall, City Council Chambers – 5th Fl, 1 So. Third St., Easton. Will 2010 Be the Year of Transportation Reform? Rep. Jim Oberstar hopes so. And US Transportation Secretary Ray LaHood expects it to be the case. The Hill reported last week that Rep. Oberstar is pressing President Obama to back his transportation funding bill, though the White House has yet to take an official position on said bill. Thus far, the bill is encountering the same block that it came up against in 2009 – uncertainty over the funding stream. The last bills were funded by the Federal Highway Trust (FHT) Fund, which is running the risk of running low in upcoming years, as more Americans are cutting back on driving (revenue from the gas tax goes to the FHT Fund). Providing the administration’s stance, Sec. LaHood stated that the White House would like to see a comprehensive transportation bill passed by the end of 2010, but admitted that the costs of such a bill are a significant worry. Nevertheless, the administration will continue working with Congress in the upcoming months, with the hope of arriving at some sort of solution to the funding problem. What are your suggestions for where the funding should come from? Since RenewLV’s brown-bag is approaching quickly (tomorrow, in fact), I thought it might be a good idea to provide a brief primer on the Pennsylvania Municipal Planning Code (MPC). The MPC is the Commonwealth’s guiding document on land-use planning and resource preservation (among its many roles). It provides guidelines for comprehensive plans, municipalities’ official maps, zoning ordinances, and other useful tools. I imagine that a good part of the brown-bag discussion tomorrow will center on the MPC, both its strengths and its drawbacks. On that latter point, in discussions about land-use planning in Pennsylvania, often, the point is brought up that the MPC allows the comprehensive plans to only be advisory (at this time), and does not mandate the individual municipalities to develop according to the comp plan. Yes, this is often frustrating for smart growth advocates. And it is likely to be brought up at the brown-bag. The PA Local Government Traning Partnership has put together a web tool called PA MPC Made Easy! It provides in depth information, as well a Quick Guide, to the document. Check it out if you have some spare time. Wikipedia – Great resource for Smart Growth Neighborhoods? Human Transit posted an entry today highlighting Wikipedia’s list of “U.S. cities with most households without a car.” Granted, all of the cities’ populations in the list are over 100,000, but it’s still a handy resource for those who might be looking to move to an area that isn’t car dependent. The entry’s author examines the possibilities for why each city is listed. The aspects that seem to pop up are age of the city (older cities tend to be less car dependent), poverty levels (higher, relative to the rest of the country), and proximity to big universities (which tends to be the case). RenewLV’s next brown-bag session will be held this Friday, January 22, 12:00 to 1:30 p.m. at the Victory Fire House, 205 Webster St, Bethlehem. I hope you’ll bring a lunch (perhaps from one of Bethlehem’s establishments) and join us on the 22nd. If you would like additional information, or have any questions about the event, feel free to contact smartgrowth@renewlv.org or 484-893-1062. The NY Times examined the aspect of “walkability” in real estate values in a recent article, even highlighting the role that Walk Score is taking on in the market. Allegedly, residences in a neighborhood with an above-average walk score are able to sell at a higher price than those with a lower score. With the cost of living skyrocketing, I’m sure many families are looking for alternatives to using a car daily – and living in a walkable neighborhood can help with saving money in the long run. Data collection on real estate values used to only be available through government sources and the National Association of Realtors, but now, more companies are beginning to compile this useful information (even Google is now accumulating such data). Interested in checking out home values by zip code? Visit Zillow.com to check out a comparison of different areas and market prices. It looks like the ‘Allentown Metro’ area is boasting housing prices that are higher than the average US market values right now. Very interesting. What are your thoughts on why this may be so? Following the big announcement from Ray LaHood yesterday about important changes in transportation funding, which Alex blogged about, I had a chance to hop on a Transportation for America partner call today to hear their perspective on the issue (as many of you are aware, RenewLV is the regional lead on the Transportation for America campaign). As expected, the news was incredibly well-received. With livability being a key component of the new formula, it will allow for greater spending for public transportation projects (which, under the former funding formula were restricted to projects that would directly show they would reduce traffic congestion) and give way to more sustainable development. T4A is rightfully thrilled about the integration of the livability component, but warned that it does not mean that the New Starts program will see an increase in funds nor will the program see a decrease in demand. New Starts provides funding for many new light and rapid rail projects, or larger public transportation projects (for example, facilities for bus vehicles, among other examples). Still, the change goes a long way in the fight to keep communities at the forefront in transportation funding. On the T4A call, it was mentioned that Sec. LaHood acknowledged the strain on New Starts funds, calling on the need for more investment dollars. With a change in priorities within the administration (focused on more public transit funding) comes the hope that more funding might come. What are your thoughts on this matter? Post your comments below.